When you ride bikes, you get hungry all the time. This is why Blackburn created the Outpost Carryall Bag. 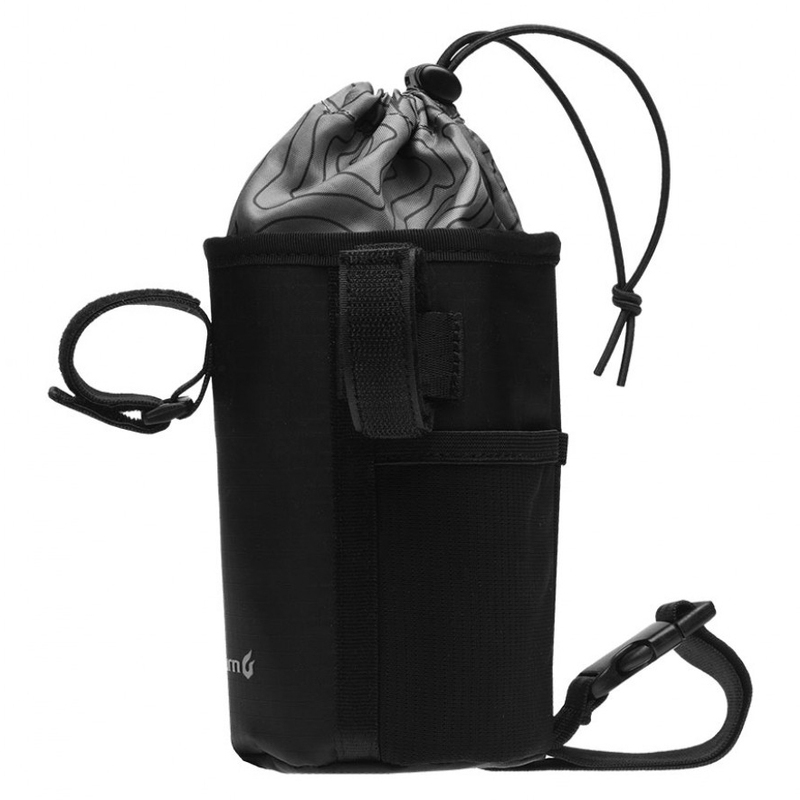 It is an easy to reach bar mounted “feed-bag” that’s perfect for easy access snacks. There’s also room for tools, bear spray, and wrappers too. 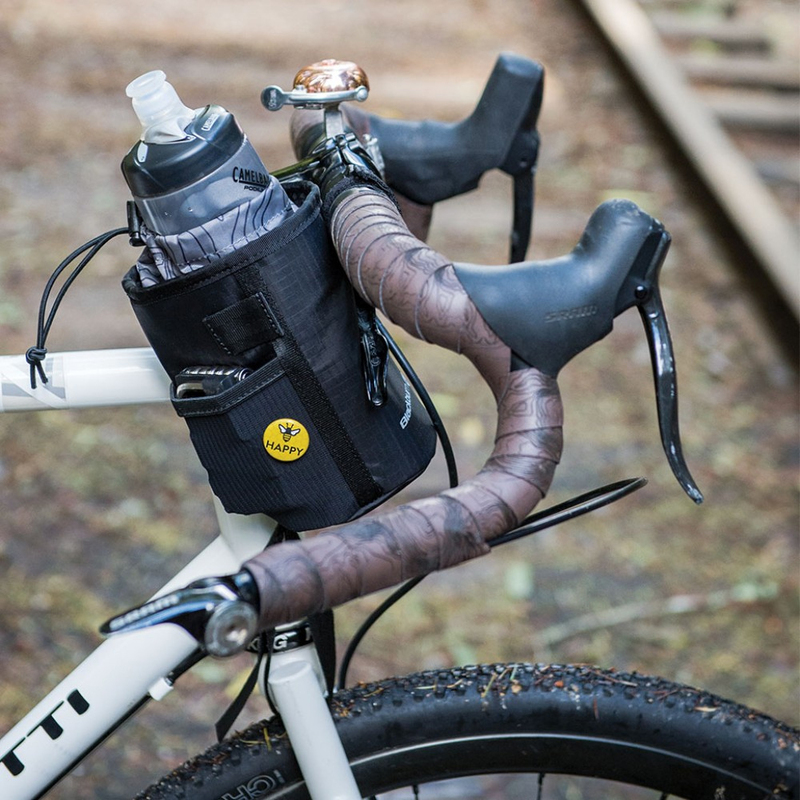 The Carryall Bag is expandable in case you need more space, includes and adjustable mounting system to allow fitment to almost any bike, features a draw string closure design and drain hole at the bottom, and it can be mounted on the left or right side of the handlebar.